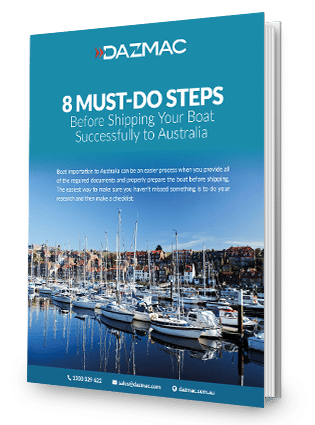 Before committing to purchasing or shipping your boat, please ensure you have taken into account all of 8 steps in this guide. If you can’t provide one of these documents then please contact us to discuss before committing to purchase your boat. As some of these are pre-requests to importing, and without them you can’t import your boat. 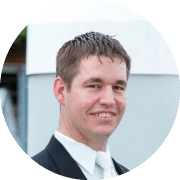 I started in logistics in 1998 starting as an office junior and working up through various positions including, import sea freight, operations, warehouse manager, cartage co-coordinator, freight manager, customer service, business development and sales. I had a short stint in 2006 in the UK for 9 months in an Art shipping company moving expensive sculptures and paintings around the world before settling back in Australia starting a freight section in a small established customs brokerage. In January 2010, I decided to started my own business and the DAZMAC Sydney office opened and have grown rapidly since. Since we have opened a Gold Coast Branch in April 2013 and plan to have a Melbourne office before the end of 2018.